The Amazon rainforest is one of the richest places on earth in terms of the vast biodiversity of species of both plants and animals. Our Boston Rainforestmaker advocates understand this list doesn’t include the mammoth number of insects and invertebrates also discovered during this time. Of course, none of these species are “new” to Earth. In fact, some may have been around far longer than we have. However, they are new to our knowledge – which just goes to show how much more we have left to learn about this incredible place. This news offers a renewed vigor in the fight to protect the treasures of the Amazon. Sadly, however, conservationists estimate that between 0.2 percent and 0.3 percent of species in the rainforest fall victim to extinction each year. That figure may sound miniscule, but it is amplified when you consider how many species call the forest home – and how many we have yet to discover. Some estimates put the losses at between 4,000 and 6,000 – every single year. Efforts to locate, identify and classify new species in the Amazon has been increasingly prioritized by research teams, as climate change and habitat destruction both encroach upon the natural habitats of these amazing creatures. A new species of vibrantly-purple passion flower, called the Passiflora longifilamentosa, was discovered in Para, Brazil. Many of these species are believed to already be endangered, at least to some degree. This is at least part of the reason why they escaped discovery. Being that these species have just been identified, we don’t yet have a full picture of how they contribute to their local habitat, let alone whether they may even contain properties that could aid us in our quests for greater understanding in research fields such as medicine and climate change. The compilation of this data over the course of the last several years again reveals just how vital this region is. With every creature lost, the rainforest’s ability to regenerate itself becomes diminished. 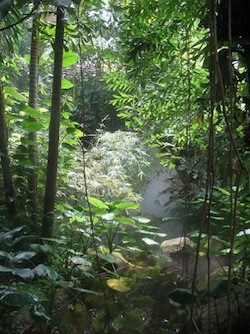 What’s more, there is a very clear connection between the well-being of the Amazon and the well-being of Earth as a whole. The rainforests contain some 150 billion metric tons of carbon, which are critical for the stabilization of global climate. Continued deforestation of this region harms not only the species and people who live there, but all of us.